Many of us would like a little help with our finances. After all, there’s a lot going on with our financial lives. How can you make retirement accounts work in concert with your current goals, and with plans to send your children to college. How Does He or She Get Paid? The first order of business is to determine how your financial planner is paid. Some financial planners receive their compensation mainly in the form of commissions from products and services they recommend. Others receive a percentage of the assets that they manage for you (so the better you do, the better they are paid). Still others charge hourly fees, or flat rates. In some cases, a financial planner might receive compensation in a number of ways. There are some planners who offer a laundry list of services for a flat fee. You might be able to have a long-term plan created on your behalf for a specific rate, such as $300 or $400. You are required to follow the plan on your own, rather than having the planner manage your assets and execute your plan. Figure out what works best for you. If you are confident that you can execute your own financial plan once the broad strokes are worked out, it might be worth it to go with someone who only charges a flat fee. If you want someone who will manage your assets for you, it makes sense to look at other forms of compensation. It also makes sense to vet potential financial planners according to their backgrounds. Look into their credentials, including what certifications they have, and what professional organizations they belong to. Make sure they are properly licenses in your state, and if you want them to help you with investing, you want to check for the appropriate securities licenses. Don’t forget to ask your potential planners about their experience with your situation. Some planners have more experience with retirement, while others specialize in small business and self-employment. Think about your particular situation, your priorities, and your greatest needs. Then look for a financial planner that is compatible with that. Finally, check with the state and with the Better Business Bureau for information about possible complaints and ethics violations. If someone has been in trouble, you might want to think twice about hiring him or her. Don’t forget to have conversations with potential financial planners. In the end, you need to be comfortable with him or her, and have a certain level of trust. You will be sharing the most intimate of financial information, and you need to feel at ease with your financial planner. 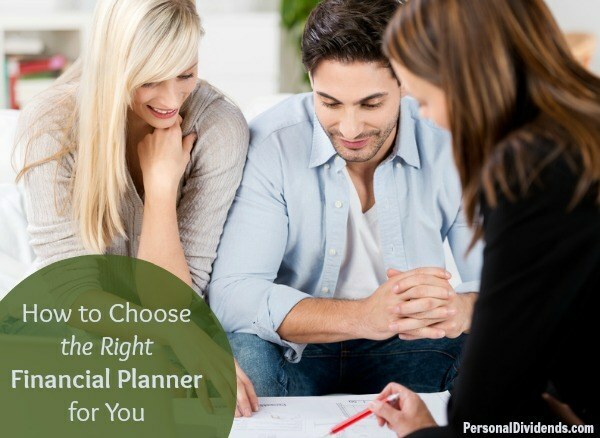 Most planners will offer a free one-hour consultation with you. You can get a feel for his or her expertise, and get an idea of how you would work together. If it seems like a good fit, then it makes sense to proceed.